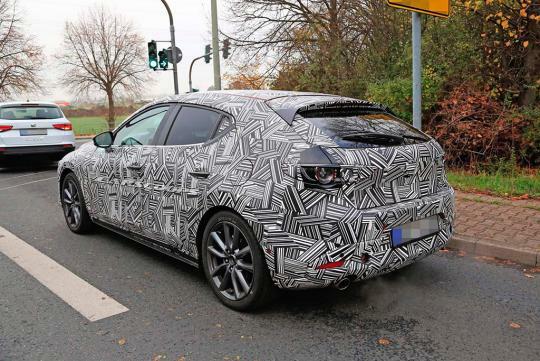 The first spy shots of the upcoming Mazda3 hatchback have surfaced online. The sedan body style will also be launched at the same time when the car debuts at the coming LA Auto Show at the end of this month. Judging from the photos, it is quite clear that the car follows closely to the Kai Concept that was shown in late 2017. Thankfully, the Mazda engineers did not cover the inside of the car, allowing us to catch a good look of the all new interior. While one can say the exterior design is evolutionary, you can't say so for the interior as the dashboard design as it is even more driver-focused than before. It also looks cleaner than the current car's with fewer buttons. 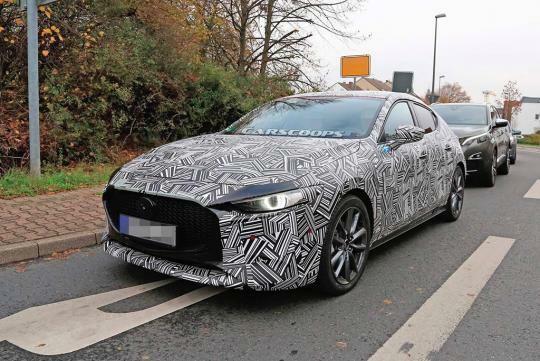 According to Carscoops, the car is said to be based on the a new platform, offering drivers a lower seating position and better handling and improved refinement. It will also benefit from a new SkyActiv-X engine that promises excellent fuel economy without sacrificing power. The naturally-aspirated 2.0-litre engine is believed to be able to produce an impressive 187bhp and 230Nm of torque.